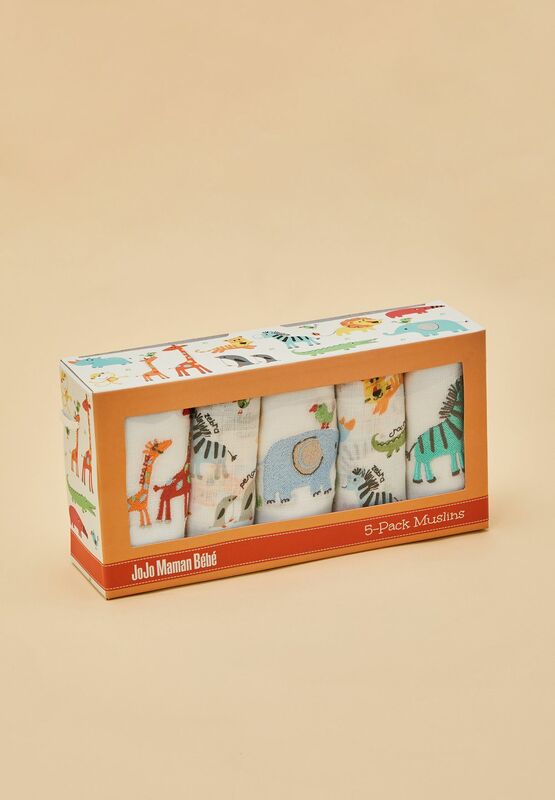 There's no denying how useful muslin cloths are, but the 5-Pack Jungle Embroidered Muslin Squares are extra special. 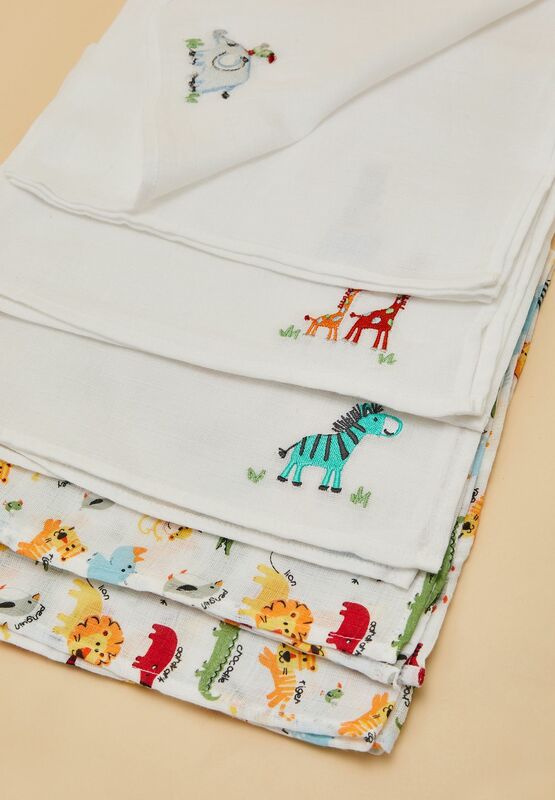 Delicately embroidered, they are both beautiful and essential. 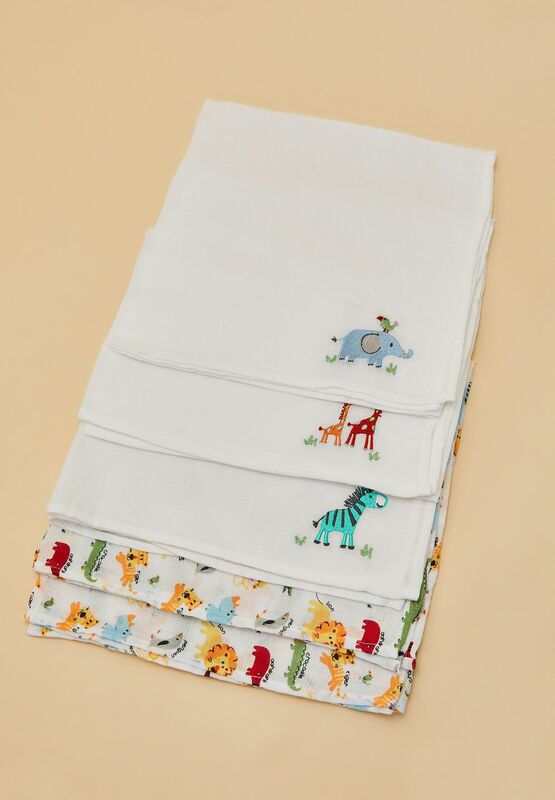 They'll come in handy for mopping up spills, protecting your clothes when feeding or burping your baby, wiping delicate skin or even as a comforter. 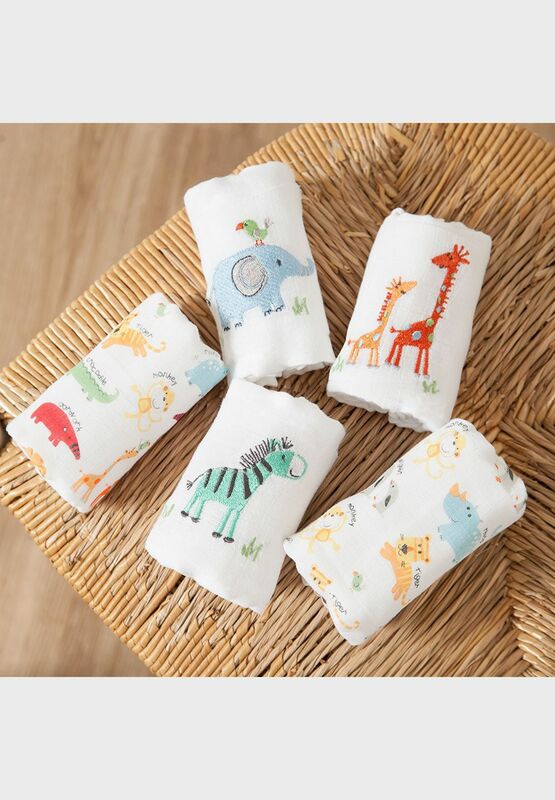 Super soft, gentle and absorbent.